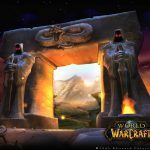 Secret Vendors have been part of Warcraft since Classic / Vanilla WoW. I know many of them, but today I’m going to share just five of them with you. 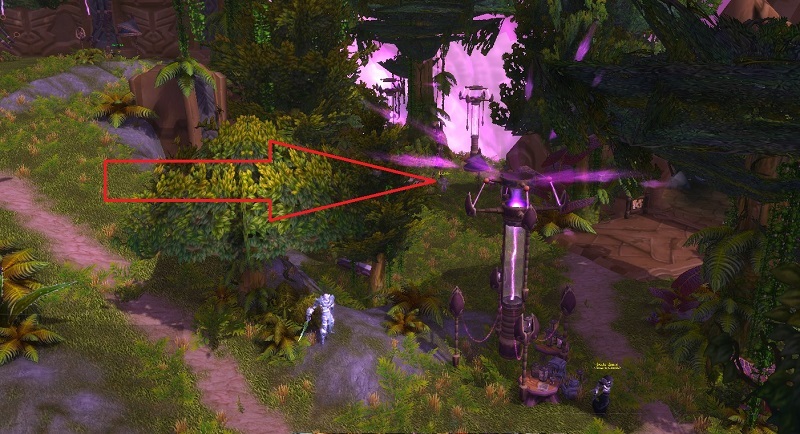 They’re scattered all over Azeroth (and even off Azeroth!) 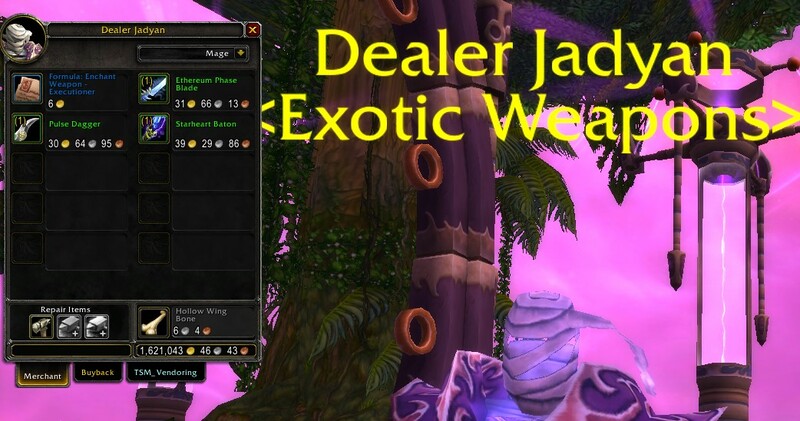 so while you fly, keep your eyes out for herbs, ore, leather farming spots, and other vendors that might sell items you can flip. 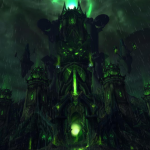 Add them to your Warcraft farming routes today. 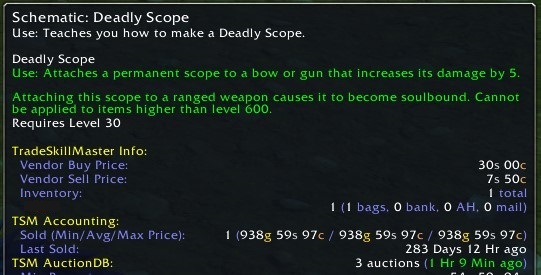 Number one on the list, this 5,000g item was something I showed to you in an earlier guide. 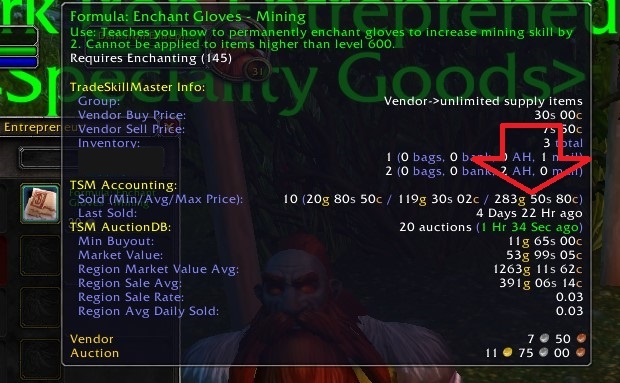 Costing less than 20s to purchase, you can farm these by camping an alt there, and sell them one at a time for enormous profits. 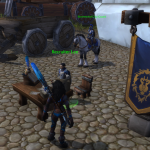 There are some great vendors in Arathi, but here’s a secret one you may have missed. 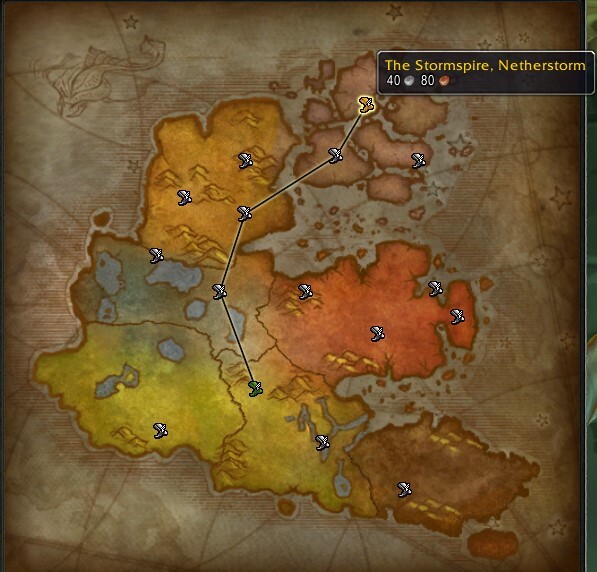 Just north of the Wetlands/Arathi Highlands bridge (The Thandol Span), turn right, and head across a rickety bridge. 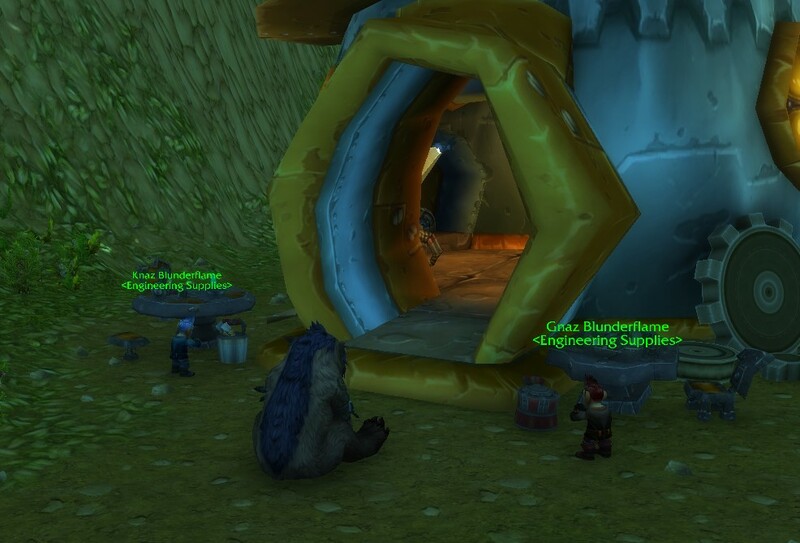 Here, you will find a Dark Iron Entrepreneur selling the [Formula: Enchant Gloves – Mining] for enchanters. It’s quite out of the way, so you may have zero competition selling this item. Buy 4 at 30s each, and keep 1-2 on the AH at all times. This group of high elves (blue dragons in humanoid form?) are right next to Mazthoril in Winterspring in an area called Beryl Egress. 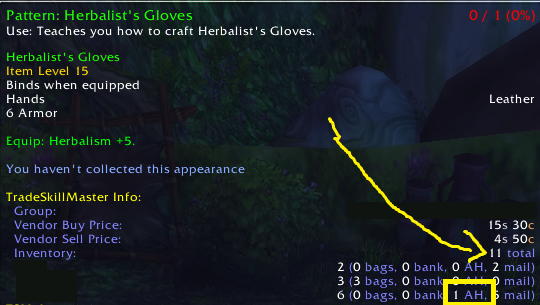 You can sell these for 1,000g and the crafted item for even more. 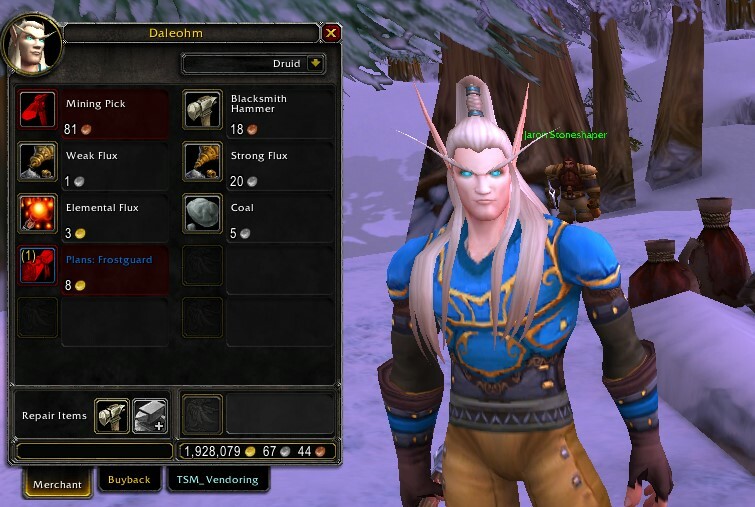 There are more items to buy for resale (flipping) in my Winterspring video guide from 2012! 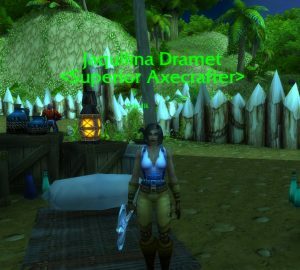 While you are in Stranglethorn, check in on Jaquilina Dramet at Nesingwary’s Expedition for a surprise. 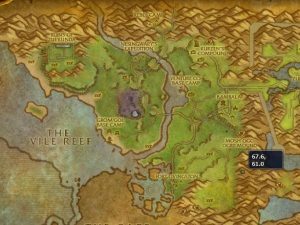 There are another 10+ secret vendors in Booty Bay, and you can access a video guide on these on my monthly-support Patreon website. 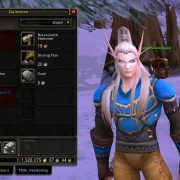 You can also find Dealer Jadyan who sells the enchanting recipe [Formula: Enchant Weapon – Executioner] for sale for 6g. These are unlimited supply and can sell for 200-500g each (2018 prices). 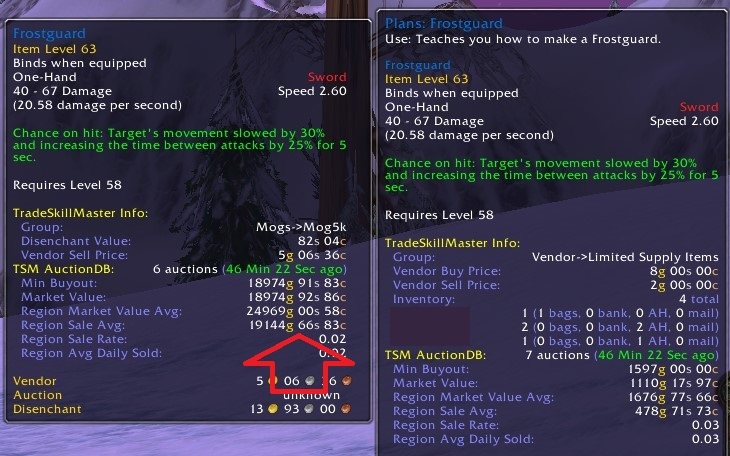 The Ethereum Phase Blade looks a lot like the [Phantom Blade] which sells for over 10,000g on the Warcraft Auction House. Want even more secret vendors? 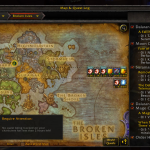 I’m currently writing a paid-for warcraft gold guide, which is about 2/3rds complete, and starting to update it for Battle for Azeroth.